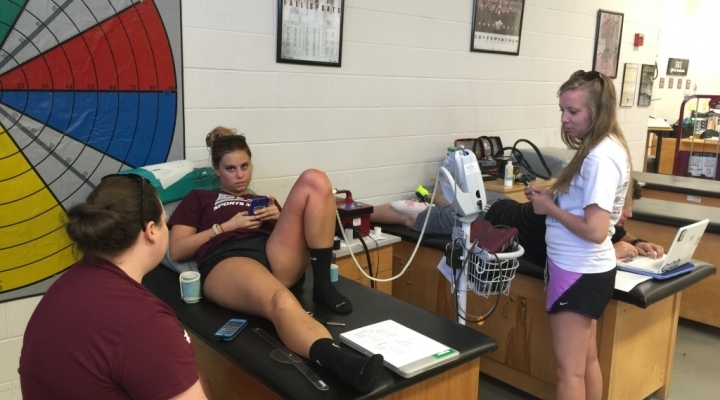 The BS in Exercise and Sport Science with a concentration in Pre-Athletic Training/Pre-Physical Therapy is designed to prepare students who are wanting to become athletic trainers or physical therapists for post-baccalaureate programs. 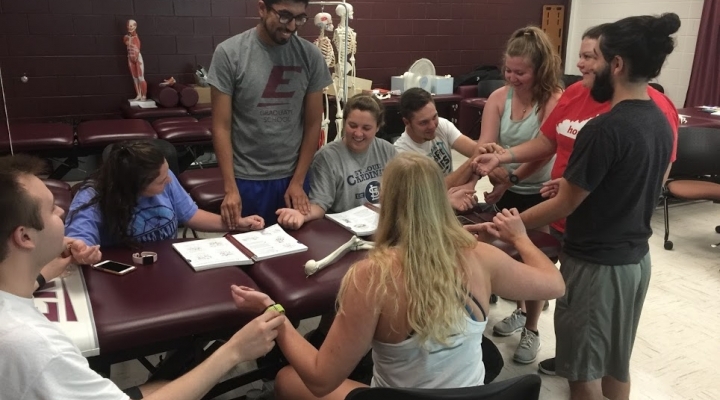 This program was created since the announcement that the athletic training profession was moving to require a Master's Degree in Athletic Training to be eligible for the Board of Certification Exam. 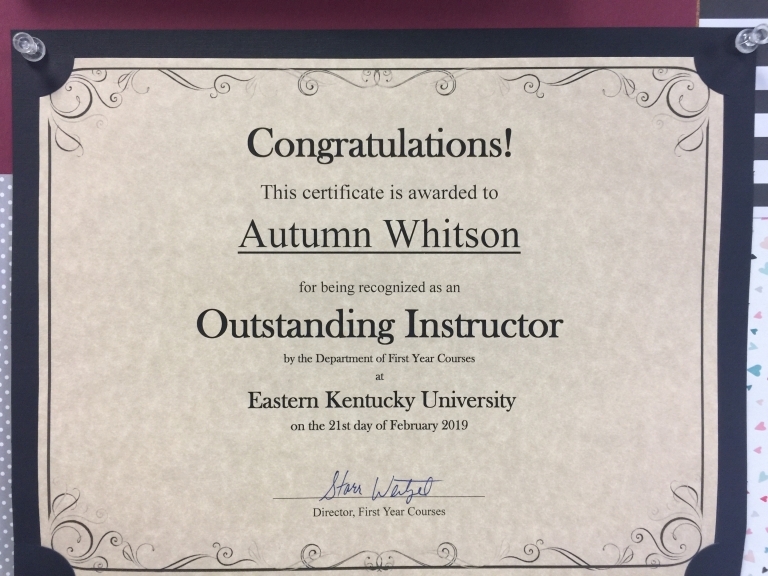 EKU has a long, rich history in preparing AT's since 1971, so this new program will allow students to complete their undergraduate degree and all pre-requisite requirements to apply for the MS in AT Program at Eastern Kentucky University as well as other programs nationally. Additionally, students will also meet a majority, if not all, the pre-requisite course work to apply to Doctor of Physical Therapy programs upon completion of this BS in ESS: Pre-Athletic Training/ Pre-Physical Therapy Program. This degree program provides students with the core science course work they will need to pursue graduate level, professional programs while providing unique coursework designed to enhance the student's ability to succeed in these professional programs. Courses like Foundations of Orthopedic Assessment, Foundations of Rehabilitation, and Applied Palpation Anatomy for Healthcare Providers, in addition to the science courses, will give graduates of this program foundational skills and knowledge to take with them into their chosen profession of Athletic Training or Physical Therapy programs. This degree would also benefit students interested in becoming a(an) emergency medical technician, personal trainer, strength and conditioning coach, exercise physiologist, and/or a physical therapist assistant. Some of these may require additional education, however, this program creates a firm foundation for future education in those cases. If you would like more information about the new BS in ESS: Pre-Athletic Training/Pre-Physical Therapy concentration, feel free to contact Dr. Matthew J. Sabin, PhD, LAT, ATC, Director of the Athletic Training Program.